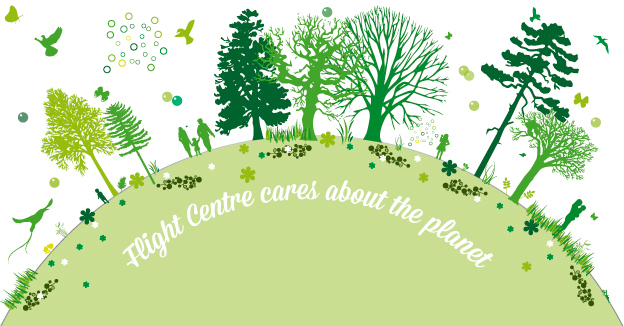 Here at Flight Centre, we work with Climate Care to ensure that we are helping the planet as best we can. We encourage travellers to offset the CO₂ emissions from their flights. Climate Care is working in Honduras to make fuel efficient cooking stoves available in some of the poorest communities. This supports conservation by reducing the wood needed for cooking. It also benefits the householders by removing smoke from the kitchen and dramatically cutting the health risk from wood smoke. Each stove reduces carbon dioxide emissions by around 1.5 tonnes per year, compared to an open fire. The project is expected to save 7,000 tonnes of CO₂. Climate Care is funding a project to introduce school stoves that run off a new renewable fuel source, replacing stoves that use the fossil fuel LPG. Crop waste is being used to make biomass briquettes for the stoves, providing an extra income to farmers. For the schools this is good news because the new renewable fuel is cheaper. The stove has also proved popular with pupils, who prefer the taste of food! This project is expected to save 11,000 tonnes of CO₂ emissions. Climate Care is funding part of a forest restoration programme in the Kibale National Park in Uganda. The project aims to re-create a rainforest canopy by planting and managing 30 species of local trees. The area is an important wildlife habitat – with one of the highest concentrations of primate species in the world – and the project provides employment for local communities. Each hectare of rainforest that is restored is expected to absorb 400 tonnes of CO₂. At Flight Centre, we adopt a heavy recycling principle and we ensure we only print what is necessary. We recycle all brochures, paperwork and even, where possible, our food waste is recycled!